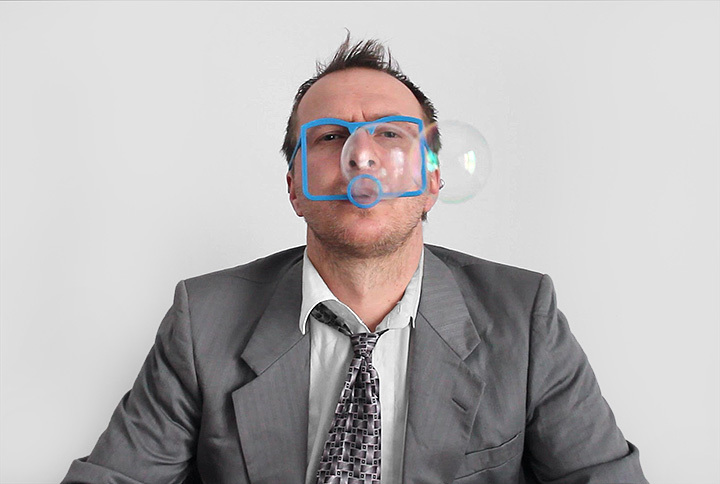 The beginning of this project consisted in a question: is it possible to blow bubbles without using hands? Or is this absurd activity, which in itself constitutes an expression of boredom, possible to be carried out casually? Using hands when handling a given device or mechanism already constitutes a certain form of involvement. While bubbles should not possess such a high status among daily rituals.